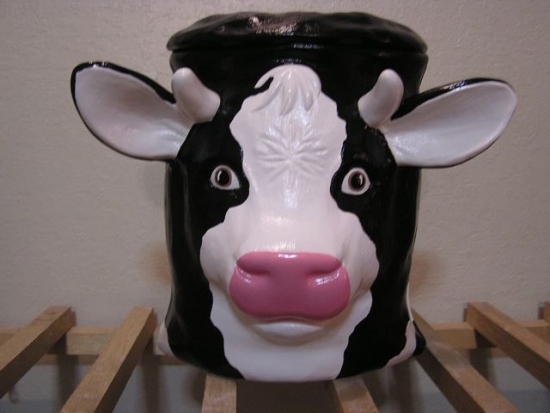 8 1/2" Tall COW LOVERS....Ceramic Cow Face Cookie Jar. Perfect Cow decor for any room in the house. Place on your kitchen table, remove the lid, & use as a cow vase. Take to the office, remove the lid & use as a vase or letter holder. Great as a Country Wedding Gift.